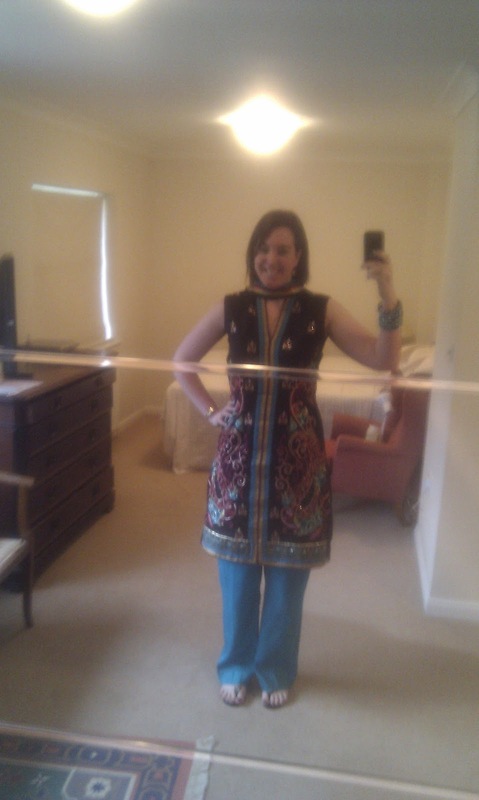 Remember my Salwar Kameez I had made for my brother-in-law's wedding weekend in May? Well just one week later I was able to wear it again - as a dress! 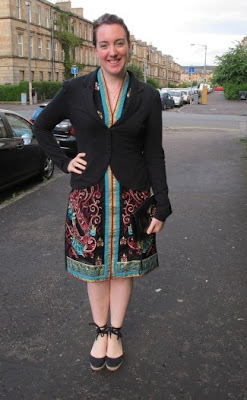 I had thought at the time that it would also make a nice dress which is why I asked for it to be made with no sleeves and shorter than the usual so it would sit just above the knee. Unfortunately I seem to have lost the photos of me wearing it except this one of all of us at dinner at Zen in Durham. 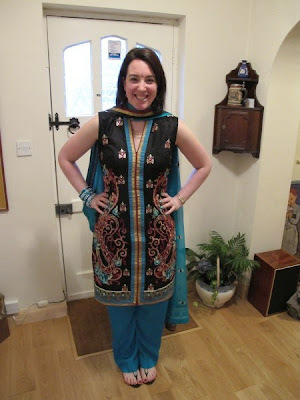 I therefore decided to wear it again on Saturday night for dinner out with Nik (was meant to be going back to Chaophraya Thai but night out with the girls was cancelled as Sarah was unwell, so lovely hubby said he'd take me for dinner since I was disappointed). 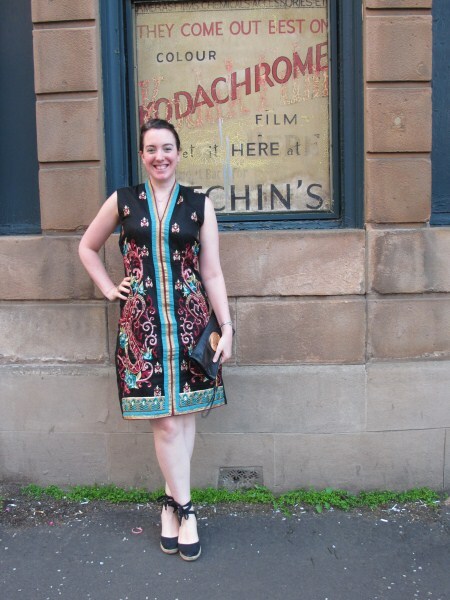 As it has silver and gold detailing in the dress I can wear gold or silver accessories which is fab! 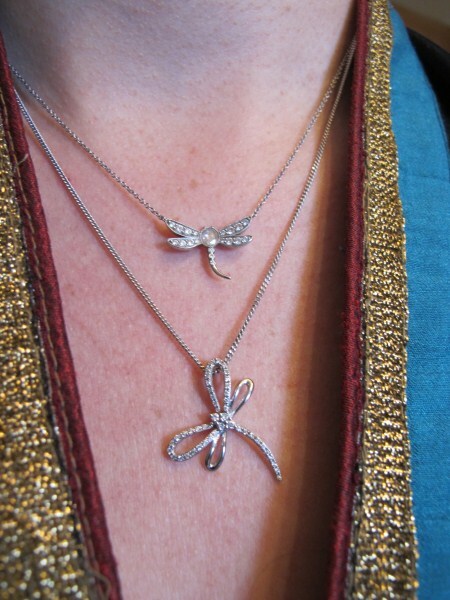 This time I decided to team it with two layered dragonfly necklaces. 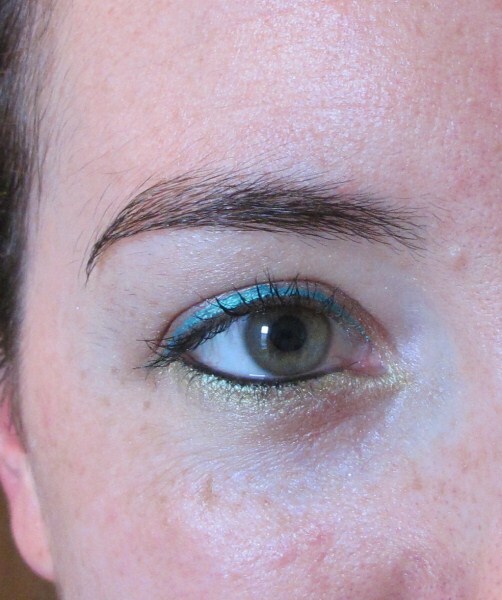 I also used a slick of my turquoise eye-liner and my gold/green eye-shadow. Really she is looking very nice.i like the dress and as well as the pendant she wore is fab.